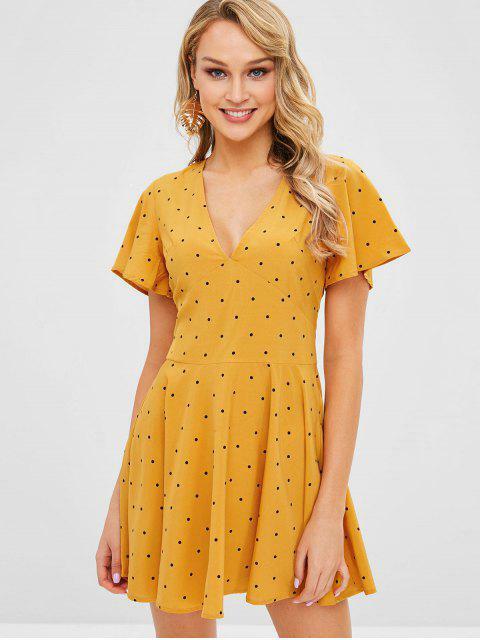 [36% OFF] 2019 ZAFUL Plunge Polka Dot A Line Dress In BEE YELLOW | ZAFUL .. Tiny polka dots add some retro vibes to this bright summer dress crafted with fashion and comfort in mind! It features a pretty plunging collar, fluttering short sleeves, a breezy flared silhouette that shapes with your every step, and a high-rise waist that elongates the figure for a perfect proportion. A concealed zip is designed at back for easy wear.